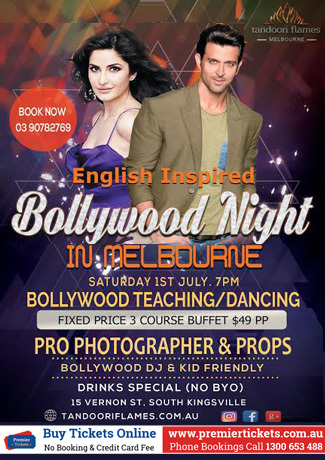 English Inspired Bollywood Night In Melbourne. Amazing three Course Buffet Only $49 pp. Bollywood Teaching and Dancing, Pro Photography and Props, Bollywood Dj & Kid friendly. Drinks Specials (No BYO).